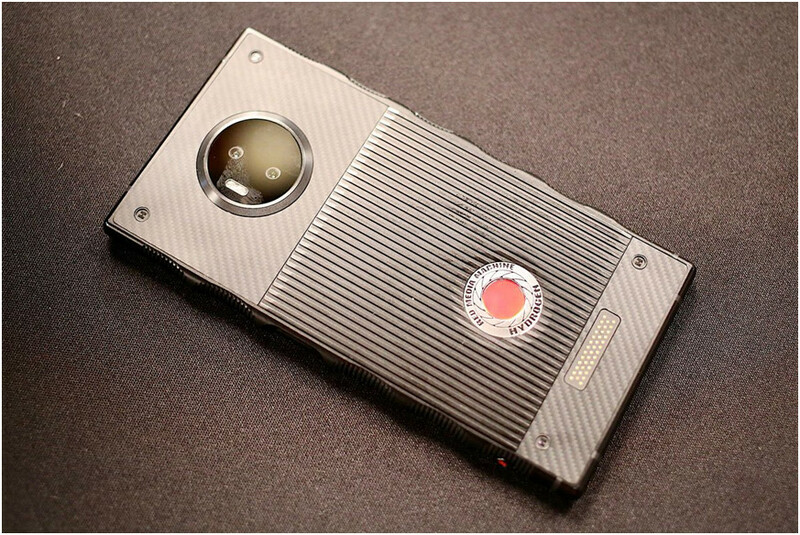 Cinema camera maker Red is going into the smartphone business with the Hydrogen One phone that features what they call a 4V light field display made by Leia. 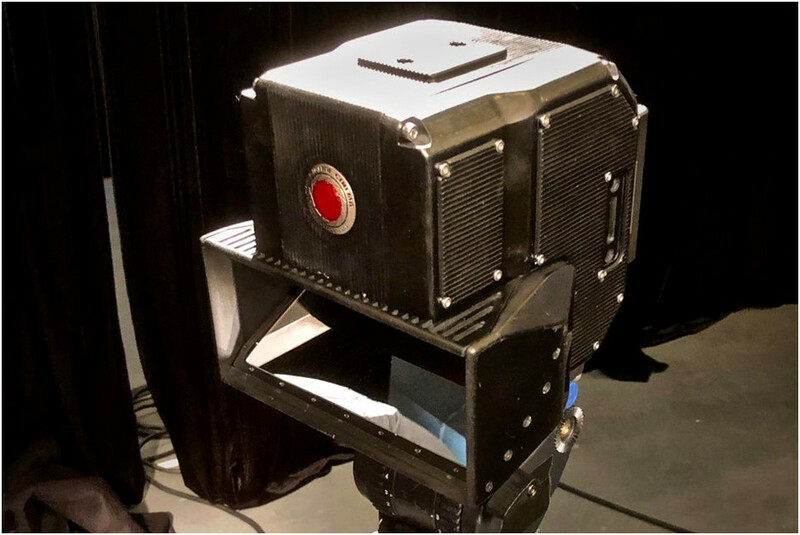 Red disrupted the cinema camera market when they introduced a high-quality camera at much lower pricing than the market rate, propelling them to success. But can they disrupt the market again? To understand what Red is doing – and I don’t profess to have any inside knowledge – don’t think of the Hydrogen One as a phone; think of it as a new camera platform. In Red’s own words, it will be “the foundation of a future multi-dimensional media system.” In other words, this phone is meant to be one piece of a modular system of cameras and other media creation equipment. But because it can make phone calls, text and browse the web, it needs to have cellular connectivity. This may be the main reason it will be sold through wireless carriers, but from what I am gathering, it is not really meant to compete as a consumer smartphone (it is available for pre-order now via Verizon and AT&T in aluminum for $1,195 or titanium for $1,595). At a special invite-only Red event just prior to SID, the company showed the new phone along with some of the partners it is working with. The Hydrogen One will be part of the Red ecosystem for professional content capture, but it may trickle down to the prosumer enthusiast as well. Its modularity is facilitated by a set of pogo pins on the back to connect it to Red’s other cameras so it can act as the viewfinder. Other modules are also in development including a big camera sensor and a lens mount. CEO Jim Jannard noted that they are working with Fuji, Canon, Nikon, Leica, and more to enable the use of these lenses as part of the modular Hydrogen ecosystem. Red has also teamed up with Lucid to develop an 8K camera. This is essentially two Red 4K cameras in a beamsplitter stereo rig with the Hydrogen One as the viewfinder. While this is not really an 8K image but two 4K images, when used in the context of VR for example, people seem to be calling the configuration 8K. What is different about this set up is that the Hydrogen One will present a 3D light field version of the captured stereo image allowing for a 3D view of the content. I have my doubts as to whether this will actually be good enough to make any critical assessments, but it might display some obvious problems (which a good stereographer would avoid anyway). It is expected to be available by the end of 2018. The Leia-manufactured display is 5.7 inches and has a native resolution of 2560 x 1440. It has a switchable “diffractive lightfield backlight” which means it can operate in 2D or 3D mode. Leia has not revealed much about its technology, but it appears to be a diffractive grating that can create a 4×4 light directing pattern. A different set of LEDs illuminates the lightguide in 2D vs. 3D mode. 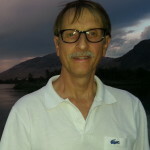 At SID DisplayWeek, I listened to a presentation by Leia founder David Fattal. He also showed me the new Hydrogen One phone where I saw three images. I forget the first one but the second was a computer generated city view that allowed me to touch various parts of the screen to bring that area into focus while blurring the other areas – one of the possibilities if you have light field data. The third was a 3D selfie of Fattal captured with the built-in stereo cameras (front and rear facing). Fattal says they can process the stereo image to create a multi-view light field image using a real time depth map. The effect was actually quite good – it was 3D and did not show any transition zones as you moved the phone. This would be a very cool upgrade for a video teleconferencing application if the other person also had a Hydrogen One phone. To be clear, the 3D depth volume is very limited – maybe two inches. 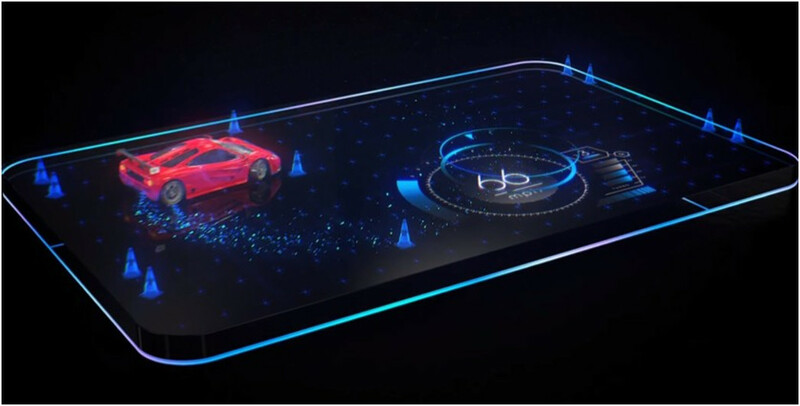 But Fattal thinks it can also transform the mobile gaming market. Leia also has its “Loft” program which they say is a software and content platform that can support movies, live chat, social; sharing, gaming and augmented reality. The graphic below shows how stereo content is turned into light field content either in a device or in the cloud or workstation. Working with Leia, Red hopes to have 30 game titles ready for the August launch that will also include a streaming service for the games that will playback in the 4V mode on the Leia display. So will the Hydrogen One disrupt the smartphone industry? I don’t think so, but it just might be the first platform to succeed with a modular concept.